04 Jun Are Bees Really in Danger of Dying Out? For a few years now, rumors have surfaced that bees are in danger of dying out. This is not good news as we rely on bees to pollinate crops, which result in food, clothing, and medication for our daily needs. But are bees really dying out? Could they one day become extinct? Unfortunately, it could happen. Humans have become a threat to the bee population after the threat of Africanized honey bees arose. Humans began to feel that every bee was dangerous, which is simply not the case. We all should work to ensure bees are taken care of, so they can thrive and continue to help our environment. 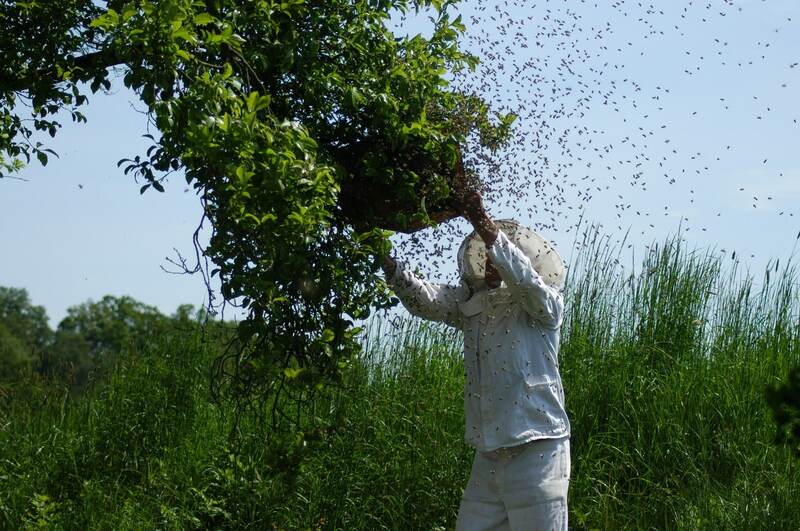 For the past few years, Colony Collapse Disorder has been a problem within the bee community. There is no reason as to why this disorder takes place, but it is responsible for a portion of the bee population dying off. Some feel that bees are in danger of extinction due to illnesses like the Israeli Acute Paralysis Virus. Others feel that humans are the threat. Pesticides, pollution, and toxins in the environment are harmful to bees and cause them to die away. Researchers continue to look into diseases as well as conditions like Colony Collapse Disorder to try and determine how bees are being affected. By finding solutions, like a cure for a disease or preventative measures to save the bees, the insect will not become extinct and we will avoid any unwanted repercussions of the bees dying off. Bees are small insects that are often misunderstood. While we think of bees as suppliers of honey and hurtful stings, they are major producers of pollination for our world. We rely on the insect to promote plant life on Earth. Honey bees require pollen for their young larvae to survive. So, they move from plant to plant in search of pollen. As the honeybees move from plant to plant, they are pollinating. Crops benefit from this pollination, which means we have the food we need to survive. Other plant types are also pollinated by bees, like cotton. We rely on cotton for clothing and household items. Without cotton, we would be without a much-needed material that we use in a variety of ways. If bees were to die away, humans would suffer. Plants would not be as prevalent, which would lead to less food and higher prices for what is available. Because we rely on bees so much, we must make sure that they are able to survive. By doing our part, we can help the bees continue to thrive, so they can pollinate and ensure our crops are plentiful. Avoid using pesticides and learn more about how you can help honey bees to ensure their survival. If you have questions about bee removal, bee proofing, or bee removal repairs, contact our professionals today.